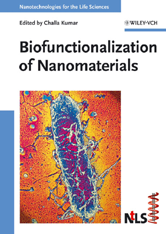 This volume covers the synthetic and materials aspects of instilling biocompatibility into nanomaterials with properties desirable for advanced medical and biological applications. Essential reading for anyone working in the various related disciplines: from medicine and biology through chemistry, materials science and physics to engineering. The new book series 'Nanotechnologies for the Life Sciences' is the first comprehensive source on the topics where materials science and life sciences meet on the nanoscale.